39. וּבָהּ יִכָּלֵל יה”ו, וּמִשּׁוּם זֶה וַיְכֻלּוּ – שְׁלֵמוּת הַכֹּל. בָּהּ נִבְרָא כָּל הָעוֹלָם, וְעָלֶיהָ עוֹמְדִים שָׁמַיִם וָאָרֶץ וְהַיָּם וְכָל הַבְּרִיּוֹת שֶׁנִּבְרְאוּ, שֶׁכָּתוּב (בראשית ב) אֵלֶּה תוֹלְדוֹת הַשָּׁמַיִם וְהָאָרֶץ בְּהִבָּרְאָם, בְּה’ בְּרָאָם. וְאִם הִיא תִּתְרַחֵק מֵהָעוֹלָם אֲפִלּוּ רֶגַע, הַכֹּל יֶחֱרַב וְיִתְבַּטֵּל, וְלֹא תִהְיֶה עֲמִידָה לָעוֹלָם. 40. ה’ זֹאת לֹא תֵלֵךְ מֵהַגּוּף, וּבוֹ הוּא עוֹמֵד. וּכְשֶׁהִיא תֵּלֵךְ מִמֶּנּוּ, הוּא סַם הַמָּוֶת יָבֹא וְיִשְׁרֶה עָלָיו, שֶׁתִּקָּרֵא טֻמְאָה, נְבֵלָה, פְּסוּלָה, מַלְאַךְ הַמָּוֶת, חֹשֶׁךְ, אֲפֵלָה, וְשׁוֹרָה עַל גּוּף הָאִישׁ. וּבְאוֹתוֹ זְמַן נִקְרָא הָאָדָם מֵת, וְסוֹד הַדָּבָר – (יחזקאל יח) כִּי לֹא אֶחְפֹּץ בְּמוֹת הַמֵּת נְאֻם ה’ אֱלהִים וְהָשִׁיבוּ וִחְיוּ. The word Shabbat in Hebrew means ‘rest’. On Shabbat, the seventh day, God ‘rested’. That is the state when Malchut is connected to Zeir Anpin and is elevated to Binah. They complete the name YHVH and achieve a state of unification and completion. This state was declared when the process of Creation ended. After the first unification of upper and lower in the process of Creation, Malchut went down with the ‘taste’ of the ultimate Shabbat. Our goal is to work and earn the day when every day is Shabbat, complete and with the Endless Light that would make us immortal. Spiritual connections, specifically daily prayers, studies, and Torah on Shabbat connect us to the Binah and the Life force that sustains Malchut, this world. When we sleep, we go into a ‘rest’ state and the soul is elevated to be ‘recharged’ with the energy of life. Without that energy a person would go mad within few days and die soon after that. Shabbat is our ‘rest’ and the time for the soul to be ‘recharged’ with the life force that comes when we are elevated to Binah. Without this Light the soul is in the aspect of death and if it doesn’t do ‘Teshuvah’, meaning returning/elevating to ‘Binah’ then the process of death of the soul will continue. When we do Teshuvah we elevate Malchut to Binah and connect to life. From Rosh Hashanah to Yom Kippur we have ten days that are called 10 days of Teshuvah. They give us the opportunity to have complete elevation through the process of cleansing, which is a great preparation to the most elevated day of the Year, Yom Kippur, a day that is all Binah. On that day the judge wrote those who are connected to life in the book of life. Teshuvah in Hebrew is also ‘answer’ and we can say here that the answer to life, is Teshuvah. 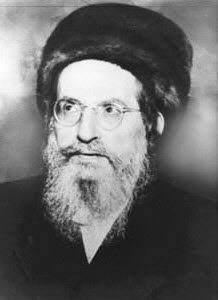 Rabbi Shimon and great Tzadikim are called Shabbat because they were in a constant state of elevation. Because of the greatness of Rabbi Shimon, the Zohar provides us with the aspect Shabbat each time we connect to it properly.